Plan the Best Spring Birthday Party With These Colorful Ideas! Spring birthdays are wonderful, because not only do you get to move past the chill of winter, but you get to celebrate a birthday with the return of the flowers and sunshine. So why not have your next party carry that colorful theme as well? At Ontario Bakery, we get a lot of calls for celebrations of every kind and Springtime birthdays are one of our favorites! Here are some tips to help you plan the best Spring birthday party ever! Skip the gloom of clouds and rain and go straight for flowers. Whether you’re partying indoors our outside, create a space that lets your guests think they’ve landed in a garden wonderland! Take it further and really go with a Secret Garden theme! 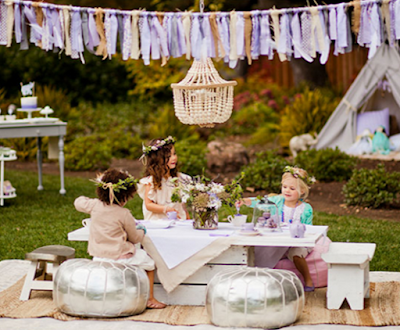 You can set up a long table with a soft olive green table cloth and decorate it with daffodils and lilacs. Then treat your guests to tea and cakes and a few classic garden games! 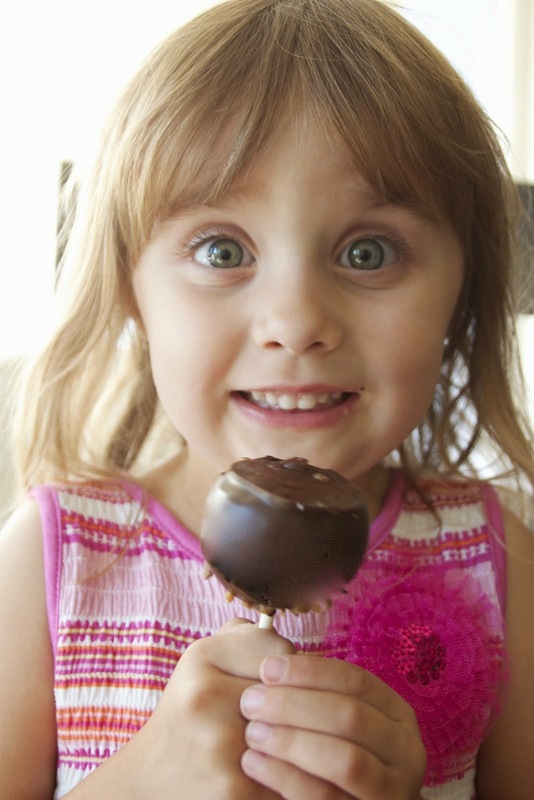 For young children, do a variation of an easter egg or treasure hunt for added fun! Fun for all ages, make this year’s party art themed! Grab a few clipboards, and some table or full sized easels, making sure every guest has a station. Provide water colors, palettes, clean water jars and brushes and watch everyone’s talent bloom! Everything is in bloom from flowers to fruit, so why not make the most of it and get creative, working seasonal produce into your snacks and treats? Have fresh fruit or veggie salads, jello bowls and perhaps a peach cobbler to top things off? No matter how you do it, your Spring bash is sure to be a success. And if you decide you’d like to have a little more fun, let us bake you a custom made cake with just the right colors, flavors and pizazz for your celebration! How to Plan a Beautiful Wedding on a Budget! 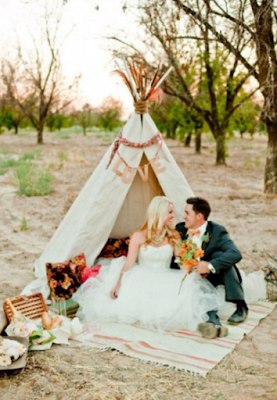 Planning the perfect beautiful wedding doesn’t have to cost you an arm and a leg. You should feel good about your planning and not spend the whole time worrying about your finances. We’ve helped many people plan their weddings and want to pass on some valuable tips to you on how to plan a beautiful wedding on a budget. Although you might be tempted to throw everyone you know on your guest list, that isn’t always a great idea. With each addition you make, you’re adding additional costs while also making your wedding less intimate. Write down your list. Then cross off who you can. Then do it once more. When crossing off, think of people that you’re only inviting because you feel obligated, or the ones you know for sure wouldn’t come anyway. Asking family and friends to offer help or services that align with their talents in lieu of a gift is a great way to keep your wedding on a budget. Think of the services you need but can’t afford to pay for and lovingly ask your talented friends and family to serve you in that helpful and memorable way. Renting a building or event room for your wedding and reception can be very expensive. Instead, think about having your wedding in your own or someone else’s home or perhaps a park with a beautiful view. Keep in mind that weather can be unpredictable, so it’s important to be prepared with an all weather tent that will fit all of your guests and wedding party. Instead of paying for catering, go back to the idea of asking for help. Who’s a great cook? See if that person (people) would be willing to prepare a simple meal or snacks for the reception. Home cooked tastes best anyway! Don’t pay for flowers that will just die. Gather simple wildflowers native to your area and decorate simply. Accent with affordable picks like queen anne’s lace and lavender or pine, and you’re sure to have a beautiful and fragrant addition to your day. Why spend a fortune for cards that people are likely not to keep? Instead, handwrite a lovely note, and include a useable photo your guest can keep for themselves. If you want to go a little further, sprinkle some gold and silver glitter or confetti in the card and envelope. Simple is best. For the cake, either have a friend or family bake your cake for you, or go with a trusted local bakery to do the job. If you want multiple tiers, think of going with less flowers and designs to keep the costs down. The more simple the design, the better. The truth is, it’s easy to cut corners on the unnecessary but make sure you go with value and detail where it matters. Choose your favorite song to walk down the aisle with. Love your dress. Invite those you love the most. And when choosing to go with a professional for your catering, photography or cake, be sure to research their customer satisfaction and go with quality and good reputation. Ontario Bakery is a family owned and operated bakery in Southern California that specializes in custom designed cakes and sweets for all occasions. If you would like more information on what we can do for you, please contact us today! 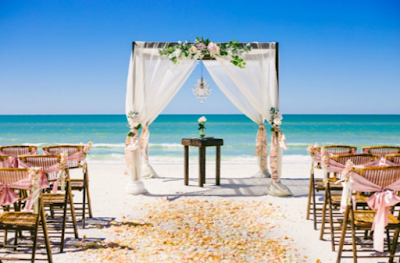 Beach weddings are one of the most popular options for brides and their planners. As beautiful as they might be, they’re difficult to plan for if you don’t know the important planning details. If you want the perfect romantic beach themed wedding, these tips are just the ones you need! Use the wedding location as inspiration for the colors you choose: Icy blues, coral pinks, and sunset hues make great seaside palettes. Try sandy, natural tones—raw linen and canvas, natural rope and jute, bleached wood—the colors that come straight from the shore. For accent colors, go with beachy colors like coral, teal, white, and cream get an elegant upgrade when paired with silver, gold, or rose gold. An all-white party on the beach can be especially chic, especially when you ask your guests to wear white, turning them into the ultimate design statement, as well. Choose flowers endemic to a region. Depending on the location, you could try Montauk daisies, beach roses, or blue hydrangeas. In tropical locations, orchids are a great option. Keep two boutonnieres on hand for the groom, in case one wilts. For a very hot day, orchids and callas are your toughest, hardiest stems. Delicate field flowers such as lily of the valley will wilt in the heat, even if they're in water. Avoid tall centerpieces. If you put a bunch of breeze-catching flowers in a tall, slim container, chances are it's going to blow over. If you're getting married at sunset, the guests may have the sun directly in their eyes, which can make it a bit of a challenge to enjoy the ceremony. For a simple fix, place chairs at a slight angle. An outdoor wedding can mean bugs—nothing ruins a ceremony like being eaten alive! Hand out communal bug spray, or individual bug wipes like Avon Skin-So-Soft towelettes. You can also employ an eco-friendly exterminator to fog the entire area with insect repellant before guests arrive. Offer a shoe check for a ceremony on the beach. As soon as guests arrive, stow their footwear so they can walk barefoot on the sand. Fondant may sweat in the heat, but it's definitely more dependable than buttercream, which in the presence of a little warmth can go from solid to liquid in minutes! Ask your baker how long the cake can sit out—if the timeline is too limited, have it delivered later, or ask if your caterer has space in the refrigerator. (Just let the cake come to room temperature before cutting and serving). 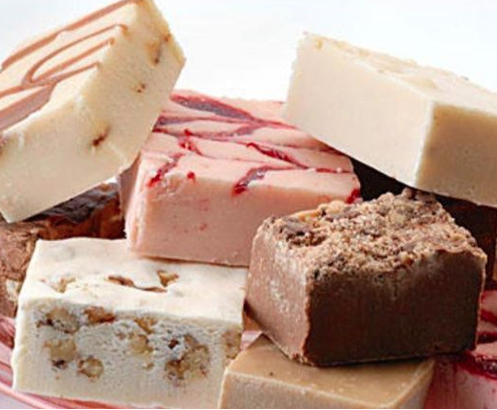 Pass on the traditional cheesecakes or cream cheese fillings for red velvet cakes or carrot cakes, as they're more likely to spoil in the heat. You deserve to have all the romance of the beach wedding that you dream of. Take note of these details and you’ll be well on your way to a beautiful memory in the making! And remember, for those southern California coastal weddings, Ontario Bakery is the bakery for you. Call us and ask about our custom cake and delivery options! 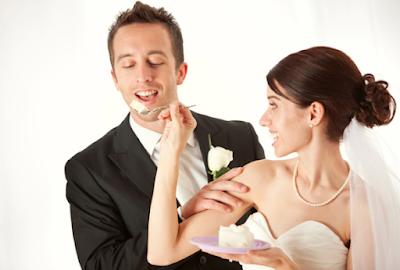 Shopping for your wedding cake should be an all out hunt; you don’t want to lose your sanity. But it shouldn’t be dealt with casually either. This is your wedding and your cake will be quite the focal point. 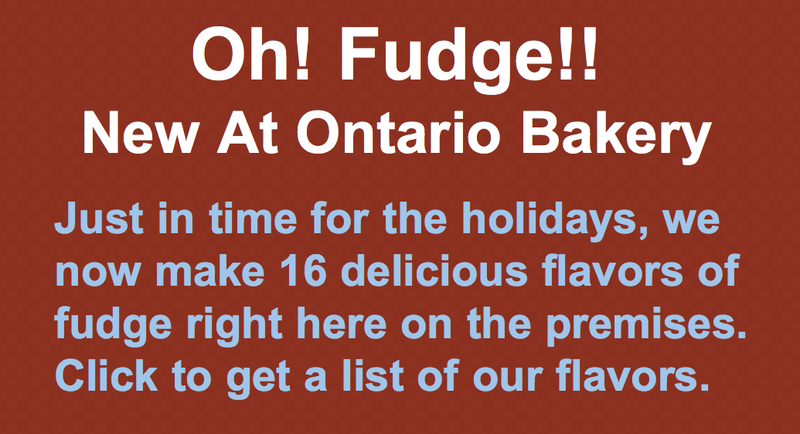 At Ontario Bakery, we’ve heard so many disaster stories that we don’t want you to end up in the same boat. We believe you should have just the right cake for your wedding, without the mistakes, the blunders and stress. Limiting Options. Don’t limit your options by going with the first baker you meet. It’s important to do your research and make sure that the baker you choose is the right one for the job. Bonus idea? Use this as a creative date idea! Make a list of your favorite bakers and visit one each week for taste testing! Budget Misconceptions. Another common mistake is assuming that ordering a cake will be too expensive. Of course, some are, but it doesn’t mean that all of them will be. So ask questions. Call the shops and get a quote but remember that you’re paying to have less stress, better taste and lasting memories. Poor Communication. Your baker isn’t a mind reader. So if you have a vision in your mind, communicate it to the finest detail. Don’t assume they understand. Be specific. Crowd Pleasing. This is your wedding. That means the cake should be the one you want. This is a point we really need to emphasize, because so many people want one kind of cake but end up going with a cake that everyone else wants. Remember that this is your wedding and they’ll love whatever you choose! Skimping on Delivery. Always go with delivery. Not only is it going to lessen the stress, but it will lessen your risk as well. If something happens to your cake during transport, you won’t be responsible for it. So go with delivery. Color Choices. While your accent colors might be black or navy blue, it’s not smart to use these colors with your icing as they dye the teeth. One moment, everyone will be enjoying their dessert, and the next moment, everyone is smiling with blue teeth. Not good for photos. Your wedding cake is not something to go lax on and settle for second best. This wedding is your day and one to remember. So treat it with care. Contact us today at Ontario Bakery for custom cake orders and further questions! 30 is the New 20. 5 Tips to Help Her Have a Great Birthday. She’s getting older, but make sure she knows that’s a good thing. Word on the street is that 30 is the new 20, which means she’s just as full of life but with more wisdom and class. So why not throw her a party to reflect that? At Ontario Bakery, we know birthdays better than anyone, so here are our tips to helping her have a great birthday! Classy Dinner. Go for a more dignified flare. Instead of going out for the usual, bump the class up a notch. Find a high end Italian eatery or a quality sushi restaurant and finish it off with fine wine or aged sake. You can dress up and spend hours talking and then indulge in desserts. For the Girls. Ok, we know men are wonderful, but this is a birthday that is quite enjoyed with just the girlfriends! If you really want to have the boys along, consider splitting the night in two; half with them and half without! Music and Dancing. What lady’s birthday is complete without music? Take your pick, but we recommend finding a local jazz night or blues, accompanied by fine fare and maybe even dancing. If you want more movement, consider grabbing the girls and taking a salsa class together! In House Goal Setting. Gather the ladies and encourage everyone to look at their goals; their lives where they stand here and now and assess them. Everyone make a list of 10 things you want to do in the next year and then 10 major things you want to accomplish in the next TEN years. From simple things like calling an old friend or getting in shape, to travel or even a big career change! These should all be things that you've either forgotten to take the time to do or just never found the time or the courage to take that big leap. Be sure to have the house (wherever it’s hosted) fully stocked with snacks and drinks or even dinner and desserts! Indulge. Every woman loves to relax, so why not make an event out of it and book a spa day? You can go to a local place in town and finish it with some fresh and healthy food (or not!) or book an overnight stay at a spa just outside of town! 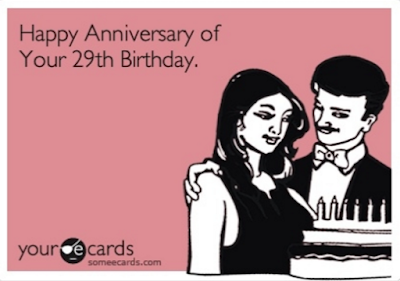 I hope you enjoyed our sweet ideas for a 30th birthday party. As always, we are happy to add to your experience as we love to make your custom birthday sweets! Call us at Ontario Bakery and let us know how we can make your celebration a delicious event!